It’s been a while since I put together a round-up post, so here we go! 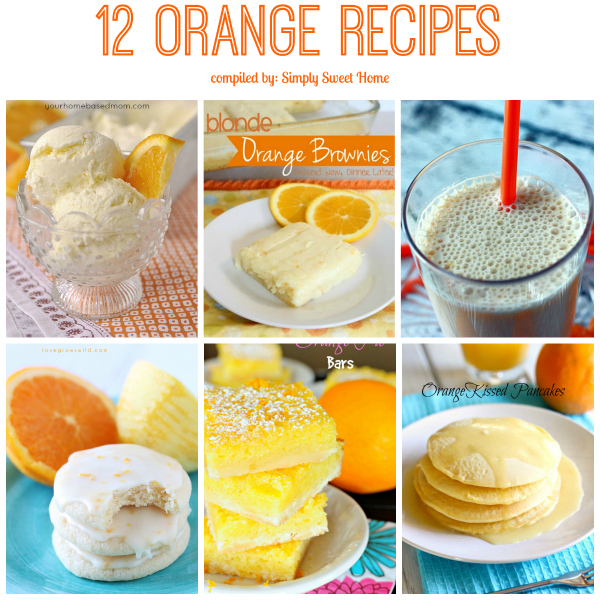 Today I’m featuring 12 yummy looking recipes featuring one of my favorite fruits and flavors: ORANGE! 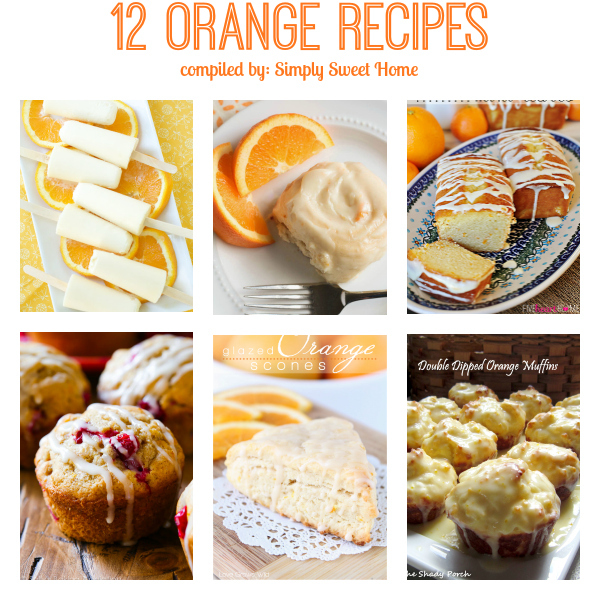 Hope you enjoy this mouth-watering collection of 12 orange recipes! Copyright © 2019 · Simply Sweet Home· All rights reserved.